London couple Hannah and Paul said “I do” at their Golden Mile beach club wedding surrounded by their children, close family and friends. Hannah and Paul had been together for many years before they finally decided to marry. 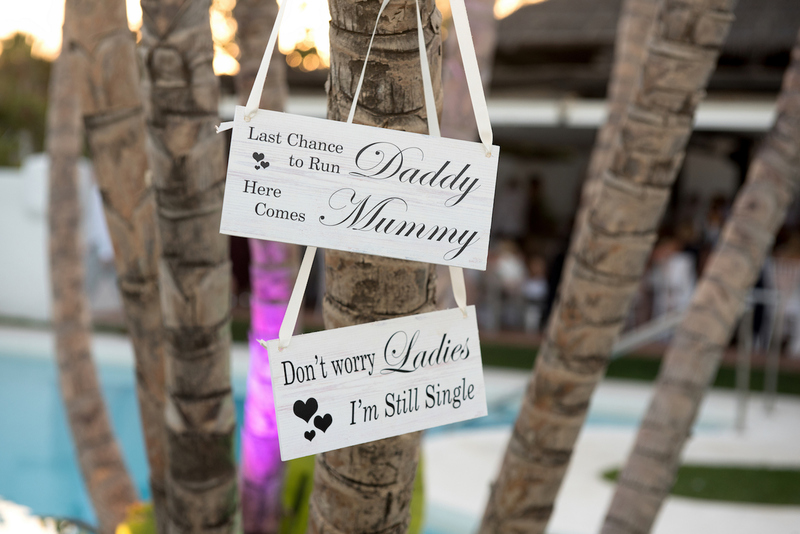 They have been blessed with two beautiful children and, after many holidays as a family in Marbella, they felt it was the perfect place to hold their wedding celebration. 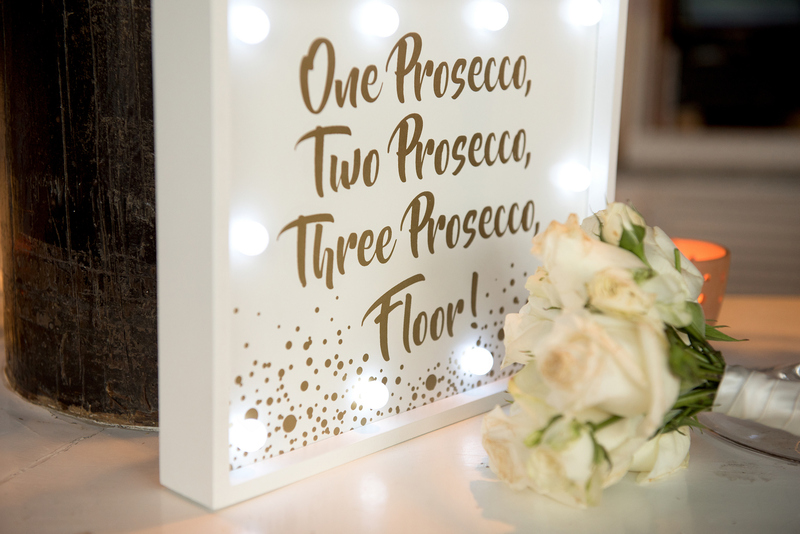 The couple wanted a relaxed vibe for most of their wedding day but, due to the guests being mostly of Irish origin, a bit of a party towards the end of the night was a must. It was also essential that Guinness be available – and plenty of it! 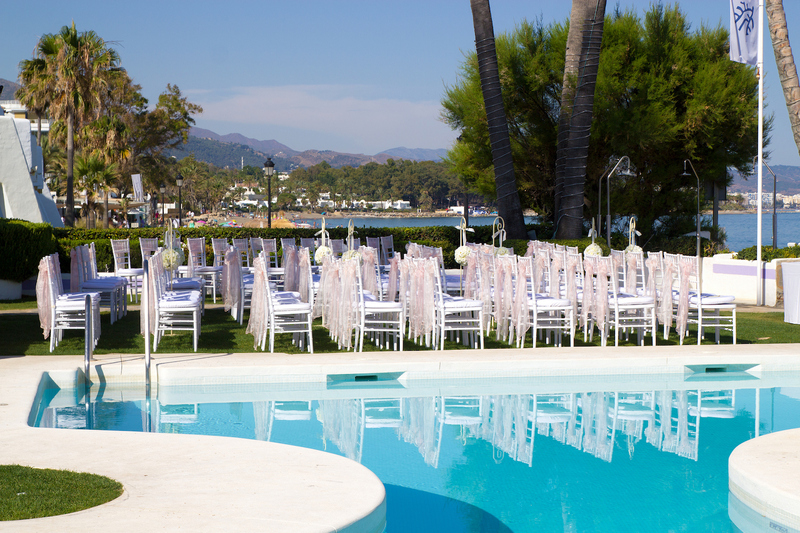 After viewing a selection of venues in the Marbella area, Hannah and Paul fell in love with a luxury hotel situated on the prestigious Golden Mile. Surrounded by palm trees, courtyards and exotic gardens, this hotel boasts a fine Mediterranean style with Arabic and Andalusian influences and details. On the big day Hannah wore a slim fitted, crystal embellished gown. She opted for a soft plaited up do, perfect for a beachside wedding. Her elegant bouquet of white roses incorporated diamante detail to tie it in with the dress. Paul looked dapper in his sharp navy suit and pearl tie. Pew ends were decorated with elegant suspended spheres of white roses, while blush ribbon ties added a soft pop of colour to the cream chairs. A stunning floral archway created the perfect ceremony focal point. For the reception, a variety of different sized distressed vases were filled with pink and white florals and placed on large round mirrors for maximum impact. In Part Two we will find out about Hannah and Paul’s ceremony, the reception and the epic first dance.